The Stampin' Up Holiday Mini Catalog 2011 is Live! Happy Thursday Everyone! 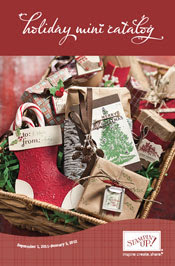 The Stampin' Up Holiday Mini Catalog 2011 is now live! There are so many new products to get you ready for Fall, Halloween, Thanksgiving, and Christmas. 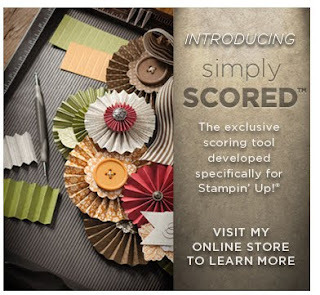 Plus, this catalog introduces the exclusive Stampin' Up Simply Scored scoring tool. Score cards, make scored designs, or score 3-D projects. It's fun, fast, and easy! Click here to get started. Enjoy!